With your help, more people will experience the mobility, safety and independence a devoted dog guide brings. 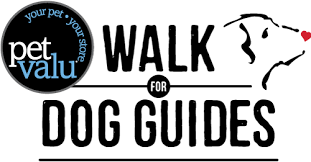 Espanola residents have the opportunity to help Canadians with medical or physical disabilities obtain dog guides at no cost by participating in the Pet Valu Walk for Dog Guides on June 9th. For over 34 years, the walk has been a vital national fundraiser in support of Lions Foundation of Canada Dog Guides. Taking place in approximately 300 communities across Canada, the Walk raises funds to provide life-changing dog guides to Canadians with physical and medical disabilities at no cost to them.